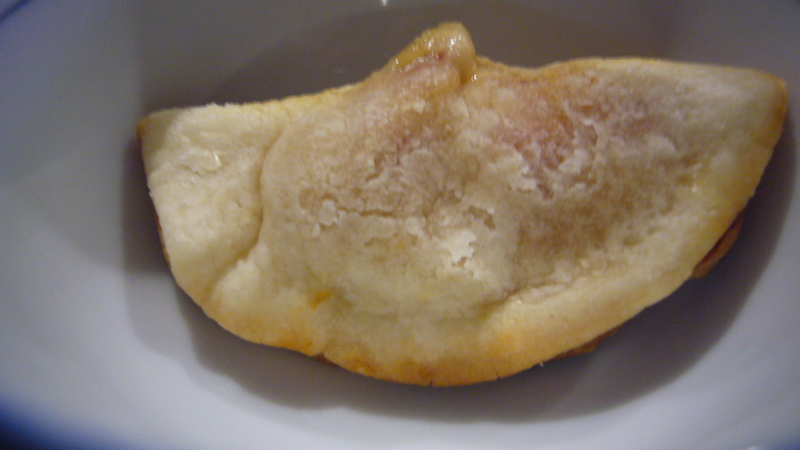 Small Pie Pockets. I heart encased foods. I had some left over pie crust that I have yet to have a reason or want to use. 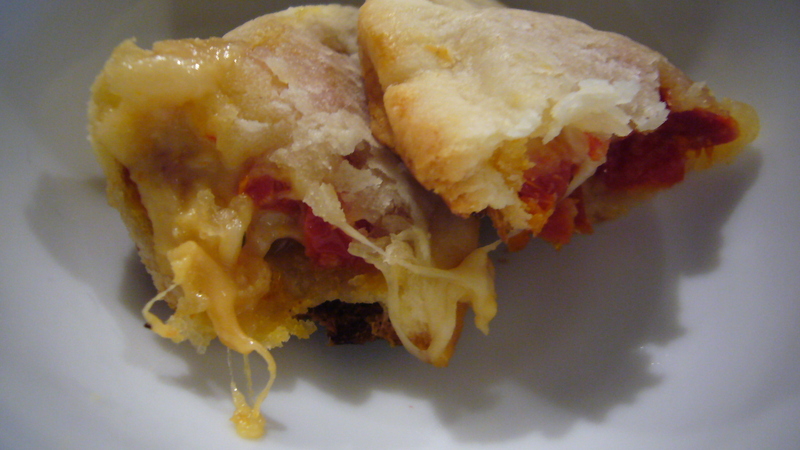 I made some quick savory pie pockets with apple wood smoked mozerella cheese, sun dried tomatoes and mixed with a small amount of mustard and salt and pepper. I made them all ahead of time and put them in freezer. I had one today to check and see if I might want to serve it with some kind of sauce. I think some kind of chili vinegar would be nice if it weren’t pie crust. I will have to sleep on it and sort it out before I bring them to my friends house tomorrow. ← Tomorrows lunch is todays opportunity.